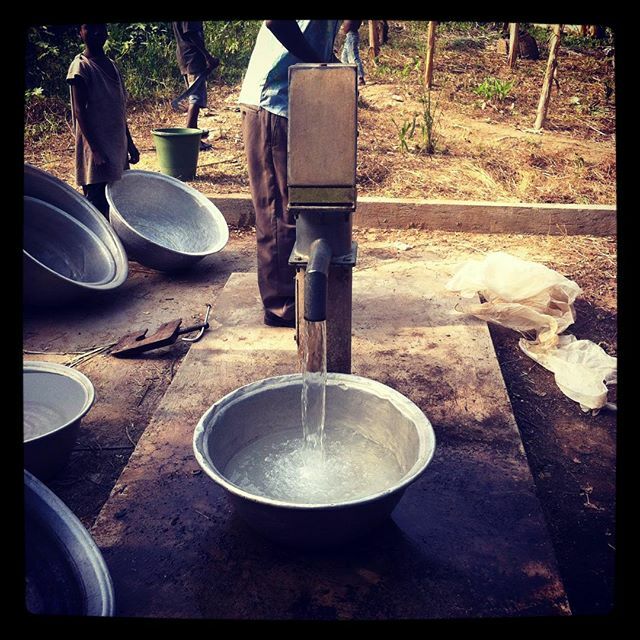 A timely intervention, water is flowing in the dry season in the village of Abenta . 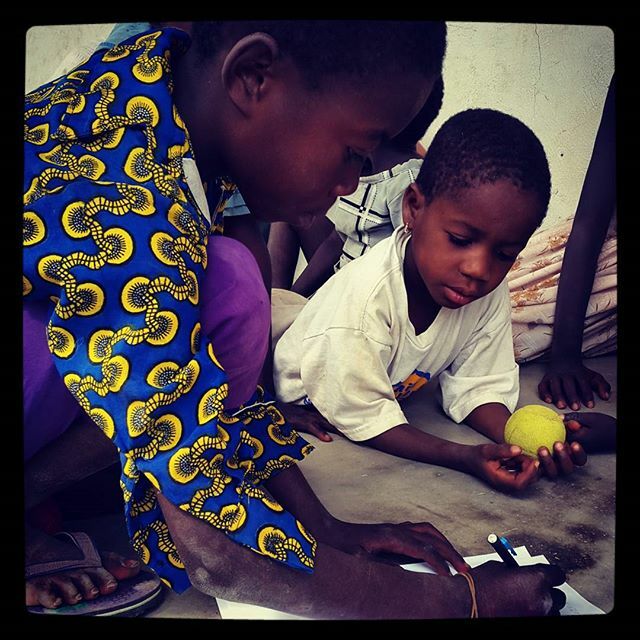 This means healthy life to the people. 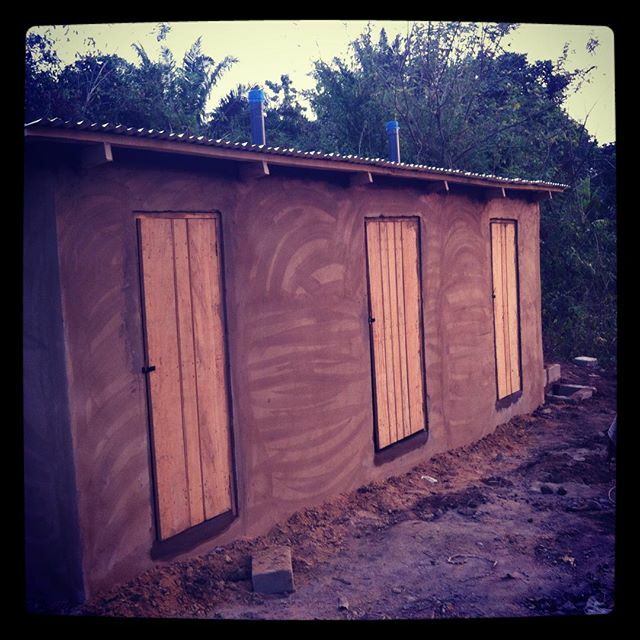 Oboasewawase toilet block is ready. Steve Mount did a good job on this project. 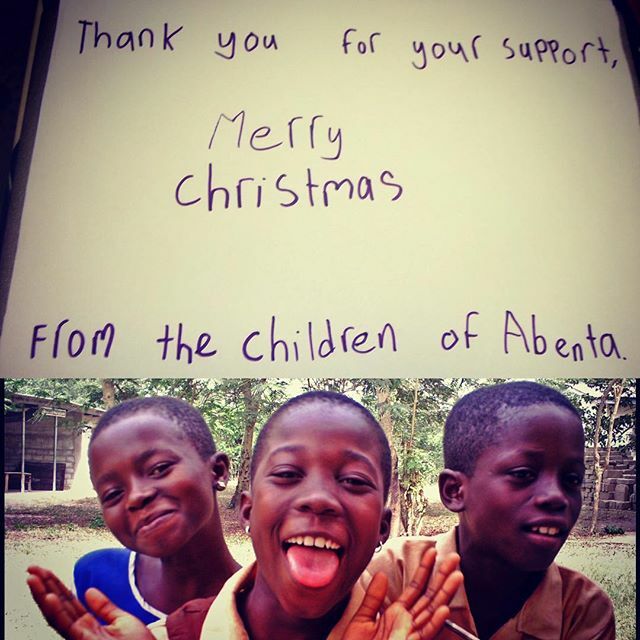 Children in Abenta learning to write at our base.